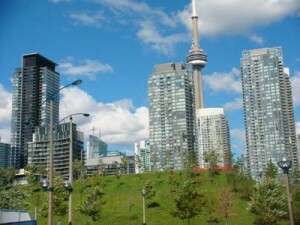 The Toronto Real Estate Board reported 5,770 condominium apartment transactions through the TorontoMLS® system in the third quarter of 2011, representing a 24 per cent increase over the same period in 2010. The average selling price increased by almost nine per cent to $333,352. “Condominium apartments have accounted for about one-quarter of total existing home sales in the GTA this year. This share is expected to increase moving forward, as new home sales and construction has become increasingly driven by high-rise construction,” said Toronto Real Estate Board President Richard Silver. “The average annual rate of price growth remained strong in the third quarter, despite the upward trend in completions and active listings. This is because the pace of sales remained brisk, keeping sellers’ market conditions in place,” said Jason Mercer, the Toronto Real Estate Board’s Senior Manager of Market Analysis.